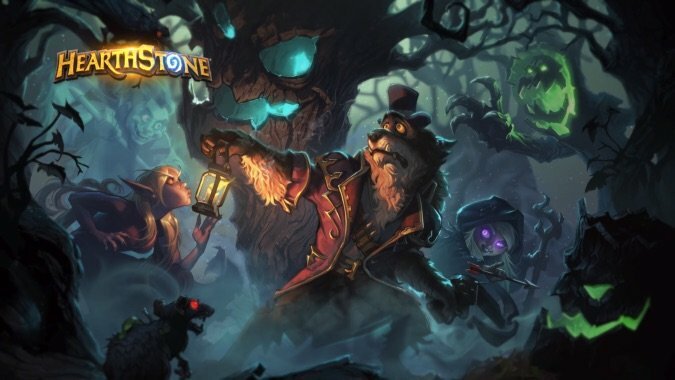 Hearthstone's The Witchwood expansion is out today! NEXT | Why is Blizzard back to pruning in Battle for Azeroth? Hold onto your butts. Hearthstone’s latest spooky expansion, The Witchwood, will arrive on Thursday April 12 — AKA today! With it comes the beginning of the Year of the Raven and the new Lunara hero. The expansion will roll out at exactly 10 a.m. PDT, so get ready to crack open those Hearthstone packs. If you haven’t been keeping up, we know every single card that’s coming with the expansion, which includes some interesting new mechanics, like cards encouraging even and odd decks, Worgen cards that swap their attack and health every turn, Echo cards that can be cast multiple times per turn, and Rush cards that can attack enemy minions on their first turn. There will also be an all-new single-player adventure in the form of Monster Hunts (though they’ll launch two weeks after the expansion itself). If you want to pick up some Witchwood cards, the pre-order deal is over but you can still buy packs at standard (not quite as good as pre-order) rates in bundles from two packs ($3) to 60 packs ($70). But you don’t have to spend a dime to jump in and play. If you don’t intend spend, you’ll get a free class Legendary and three Witchwood packs just for logging in. That’s not a bad start towards your new card collection.